At least 8 people were injured in an incident at Ohio State University. An Ohio State spokesman says the suspect rammed a group of students then exited vehicle and stabbed several individuals with a butcher knife. Some students were stabbed, others injured after being hit by a vehicle. 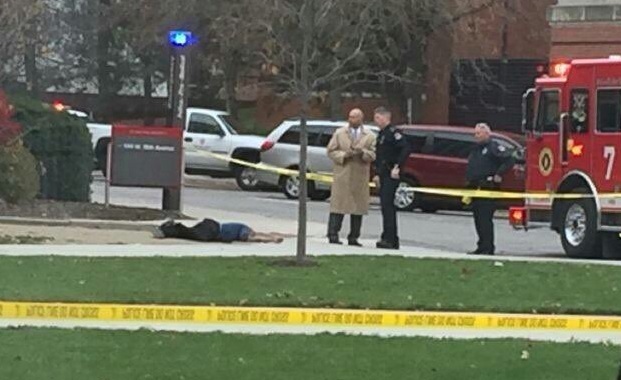 An OSU student took this photo of the dead suspect. Donald Trump released a statement this morning praising the local law enforcement for their courage and protection during today’s attack.